If I had a prior relationship with a company as bad as that which I have had with the former King Long regime, the low point of which was being thrown off their stand at the NEC because one member of the team did not like what he had heard I had written in the past, I would not rush to write about them again. 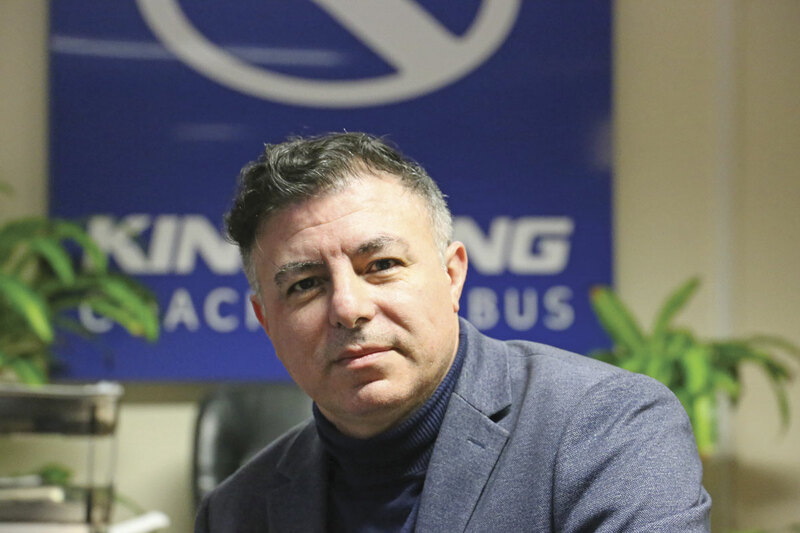 Readers will therefore understand why I felt more than a little reticent about accepting an invitation to visit the Birmingham headquarters of King Long Europe UK Ltd and hear about the new set up and their plans for the future. My reluctance was not lessened following claims by people I respect that the old regime was still involved. 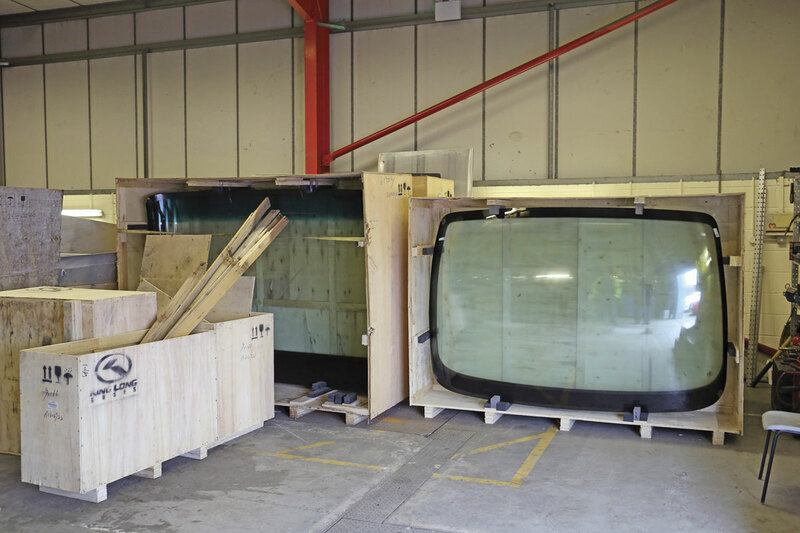 At the same time, B&CB has always endeavoured to cover all aspects of the business and ignoring a major manufacturer with a sizeable UK parc of vehicles is not something we are comfortable with. On top of this, we had been promised that not only was everything completely different now, but I would get straightforward answers to my questions. So recently I went to the new Garratts Green facility near to Birmingham Airport to meet up with Managing Director, Christopher Cassar. We were to have been joined by Paul Nicholson who is Sales Director on a freelance basis, but he was ill on the day and unable to make it. I have known Chris for over a decade, having (I think) first met him in his native Malta when BMC was supplying buses there and he was supplying King Longs. His relationship with the company goes back around 17 years. He was directly employed as a consultant and European distributor by the Chinese manufacturer and set up their European sales operations, including appointing the original UK and Irish distributors for the brand. Chris retained this broad European responsibility until December 2016, since which time he has relinquished his involvement in other European markets and been solely focused on the UK and Ireland, acquiring King Long Europe UK Ltd from King Long, which now directly manages other European markets. The UK arrangements are ‘indefinite,’ Chris explained. His more hands-on role in the UK had begun earlier than this in March 2015 following the collapse of the previous organisation. Chris explained that King Long in China was hugely shocked by the collapse and to some extent still is. It wanted to safeguard the interests of its clients in the UK and decided to step in directly with a lot of money to re-establish the company. ‘I’ve spent since then repairing the damage,’ he said. ‘I thought it would take six to eight months but it is so extensive; the deeper I dug, the more I discovered, but with the goodwill of the whole team we now have much more satisfied customers.’ By the team, Chris emphasised that he meant the workers who had been at the previous King Long distributorship. I was given an indication of how bad some of the problems were, including deposits taken on vehicles that had not been supplied and in one case a bus that had been paid for and not delivered. To try and look after these customers, those who had lost deposits were given substantial discounts on new purchases and a deal was arrived at with the operator who had lost out entirely, and he now has three new coaches. ‘We are learning from it and trying not to repeat that past,’ said Chris. The new business has now been split into three different divisions within the one company, although all three have separate bank accounts. These are: spare parts, new vehicle sales and a division that combines aftersales, maintenance and secondhand. The logic behind the combined division is that secondhand vehicles invariably need attention of some sort and often need to work together. The directly employed team today numbers ten people with functions such as accounting and IT subcontracted and the sales team employed on a consultancy basis in line with the initial remit from King Long to keep costs down as far as possible while rebuilding. 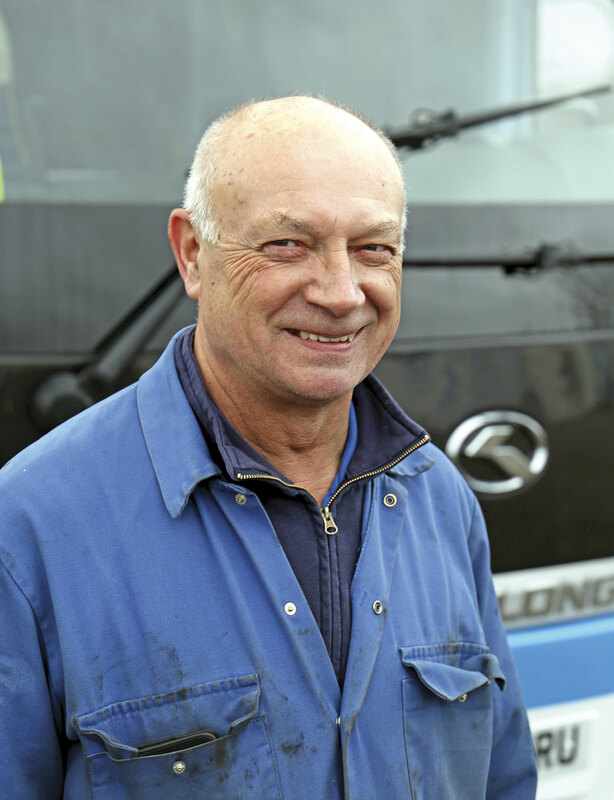 Along with Chris, the key figures are David Hoy, for many years Chief Engineer at Yorks Travel and later with Bowens, who looks after the aftermarket side and former ADL man Keith Jones, who looks after parts. He is set to be joined by another experienced electrical engineer. Plans are in hand for further recruitment in the aftermarket team in order to be able to take in more work such as preventive maintenance and work on older King Long vehicles. ‘Since we started offering this service, clients have responded and they feel safer trusting our capable people,’ said Chris. Although Paul Nicholson acts as Sales Director and also employs a number of other independent salesmen to promote the King Long brand, it is not the intention of either party that this situation continues in the longer term. The plan is that the company will directly employ a sales team. ‘We are looking to augment the sales team with a view to the longer term,’ Chris said. 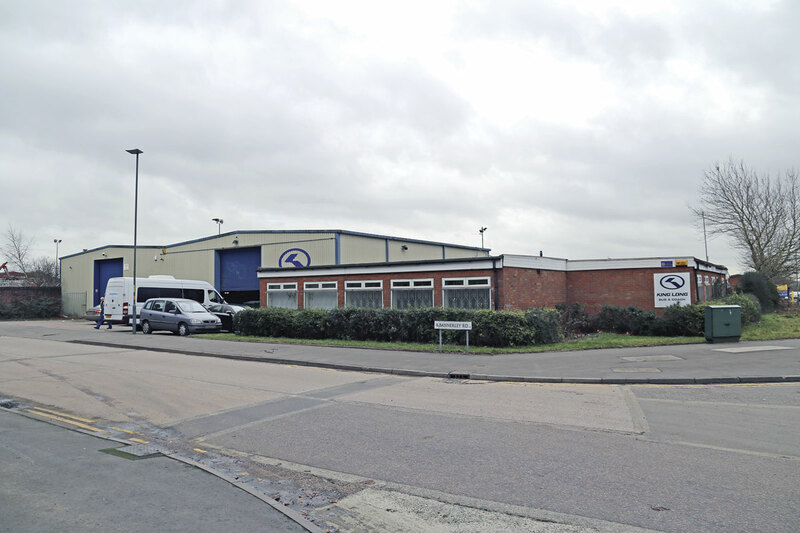 Initially the business ran from the former Bakers Travel facility in Biddulph which was rented from Hino Tours, before Chris located and took on the lease for the new Birmingham premises at Unit 2, Bannerley Road, Garretts Green Industrial Estate, Birmingham B33 0SL in mid 2016. 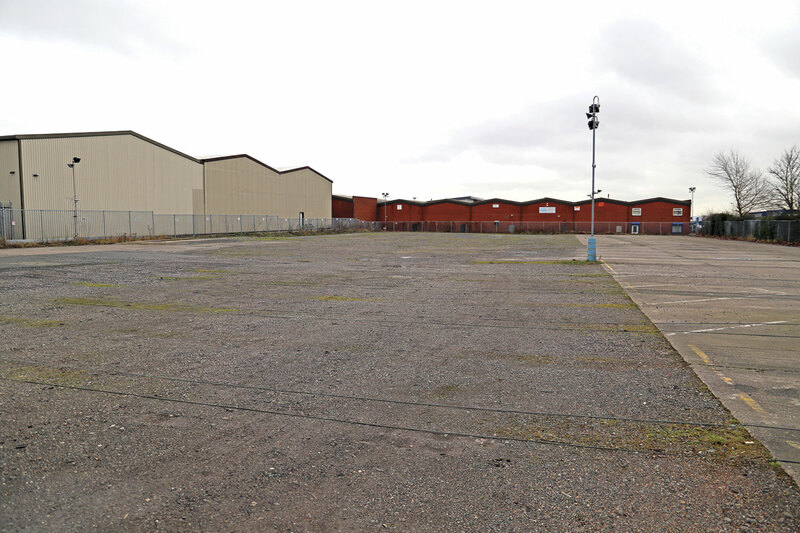 With a vast yard that could house upwards of 50 buses and coaches, an existing workshop with pits and a suite of offices, it is about as ideal a location as could have been hoped for. In addition, it is extremely well placed for the transport network, within easy reach of rail and motorway connections as well as Birmingham airport. Chris’s intention is that the business should never need to move again. ‘I know people are saying that it is still the same people, but it isn’t,’ he said. ‘A person from the former regime was working on transferring data from their computers, but he never worked for us.’ Chris was insistent that no other members of the former management team now had links with the operation. As part of a regular programme of customer contact calls, carried out by the ladies who manage the office functions, customers are being called regularly to identify whether there are any part requirements or other services that the company can provide. It has helped to reinforce the message that the company is still there, active and keen to provide ongoing help. The reaction they encounter is overwhelmingly positive though there is understandably still some reticence about buying new examples of the brand. To further help ensure that any issues that arise can be quickly sorted, there is always a Chinese member of the King Long team on hand in the UK to assist. Three people are on a four month roster, all of them good English speakers. 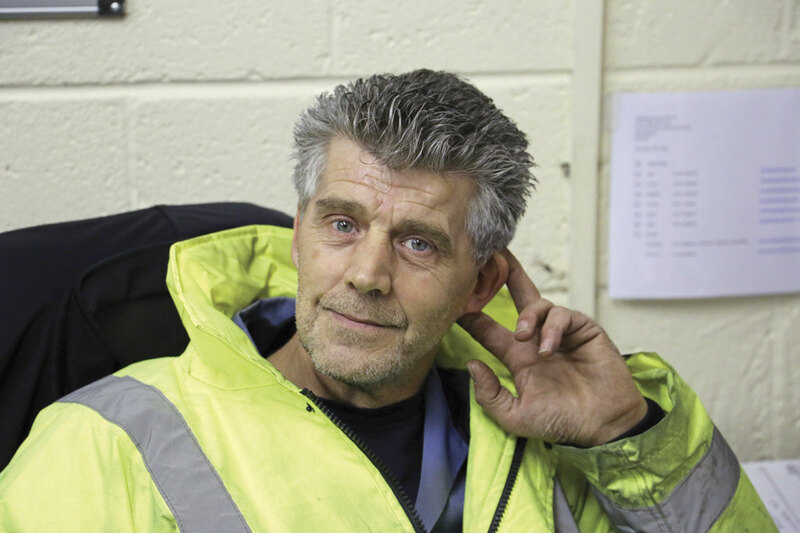 A further development is that a vehicle can now be connected via computer directly to China, enabling the factory to re-programme a system if David Hoy or the appointed aftersales dealer is not able to identify a fault without assistance. Two things that will encourage potential buyers relate to the way King Long buses and coaches are built, because corrosion was a significant issue on some early examples. Firstly, since 2016 they have benefited from greatly improved corrosion protection. The 6129 and 6130 have fully catophoretically dipped monocoque structures while those with separate bodies and chassis have the two parts dipped separately. Secondly, the plant at Xiamen now has a separate production line dedicated to high end markets that I was told all UK products go down. Those employed on it are selected, the build pace is slower and there are more people working at each stage. ‘It’s a big plus,’ said Chris. 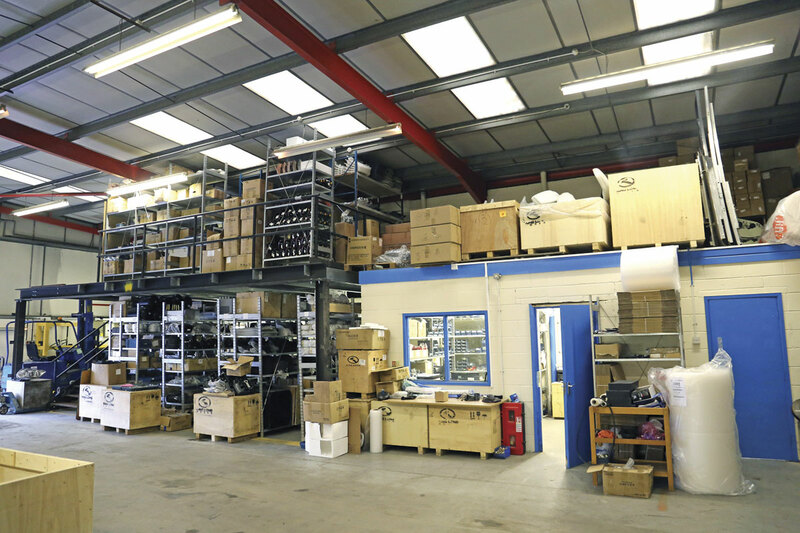 The range being offered is a familiar one to UK operators with products of between 9.0m and 13.7m. 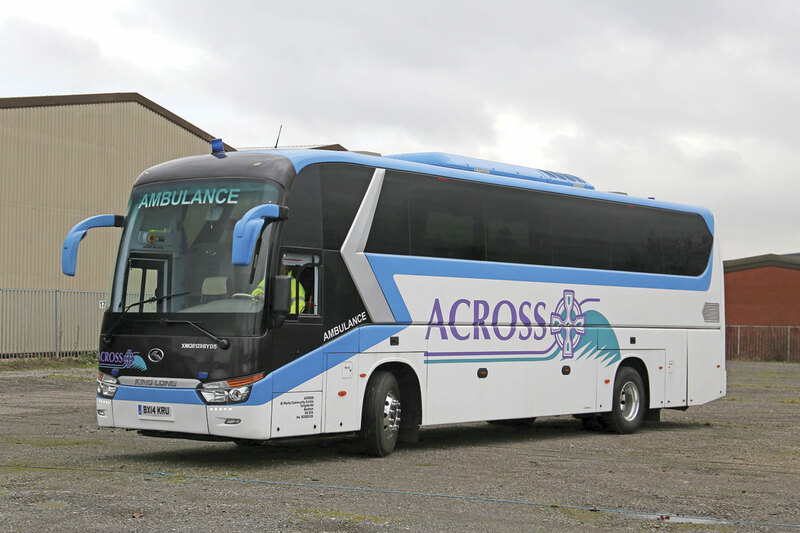 There are six coach options: the 9m C9 with up to 35 seats (or 31 plus toilet); the 10m C10; the C12 at either 12.0m (6127) or 12.2m (6129) with capacities of up to 49 plus toilet or 53 plus toilet/55 straight respectively; and the three-axle C13 at either 13m or 13.7m. In addition there are the lower height two-axle intercity/day tourer or school models which are either 12.2m (6120) or 13m (6130) long with up to 60 or 70 seats accordingly. On the bus side there are currently two two-door low entry models; the 9.17m long B9 and the 12m B12. I understand that a three door 12m version for airport work has been homologated and is working in Hungary, so could also be made available. Despite this there have been orders. They include a pair of C12 (6129s) for Hunters of Leeds, who now have 11 King Longs and will part exchange two of them. Also taking C12 6129s are J&B Coaches of Leeds and Eamonn Rooney of Northern Ireland. It is the C12 that has been the best seller to date, but Chris is confident that the C13 has a lot more potential in the market. An order has also been taken for a C9 midicoach for Heyfordian who are celebrating 70 years in business this year. Other orders for the coming months are two C12 6129s for McCombs of Belfast, a 6130 school coach for JKT International and two additional C12 6127s for Deveron of McDuff in Scotland. Going forward, stock C9 and C12 coaches will be built, but not C13s which tend to be more bespoke in nature. 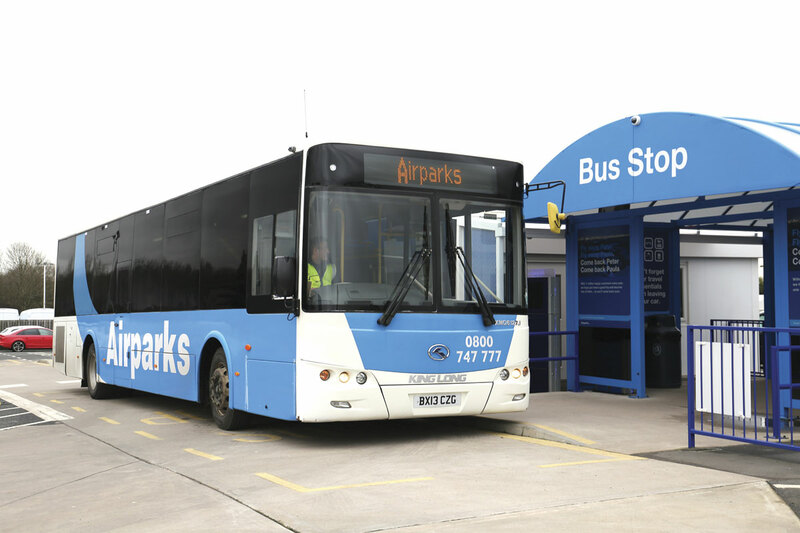 Significantly, a repeat order is about to be supplied to Airparks who are based just down the road from the new premises. Three B12s (XMQ6127s) are currently on the water on the way from the plant and will enter service on arrival. 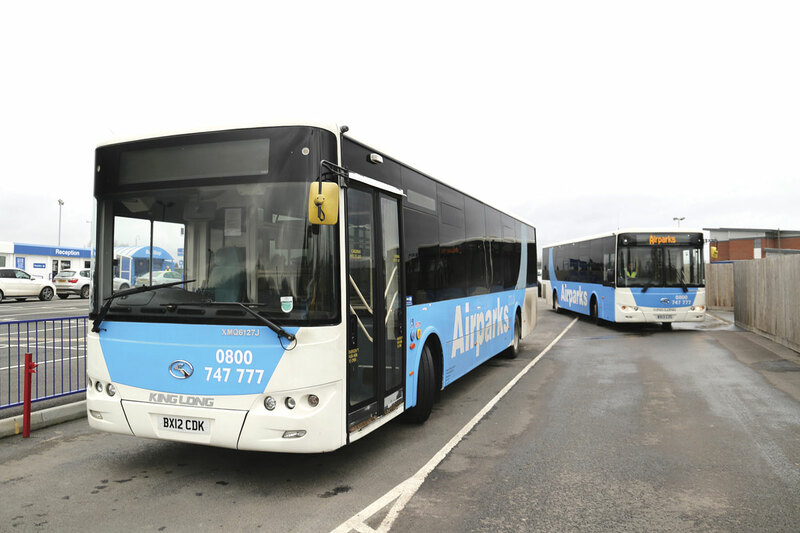 They will join three existing King Long XMQ6127Js with 12 and 13 plates running for Airparks in Birmingham. I took a walk down with David Hoy to see a couple of them between departures and they seemed to be standing up quite well to the rigorous airport work. 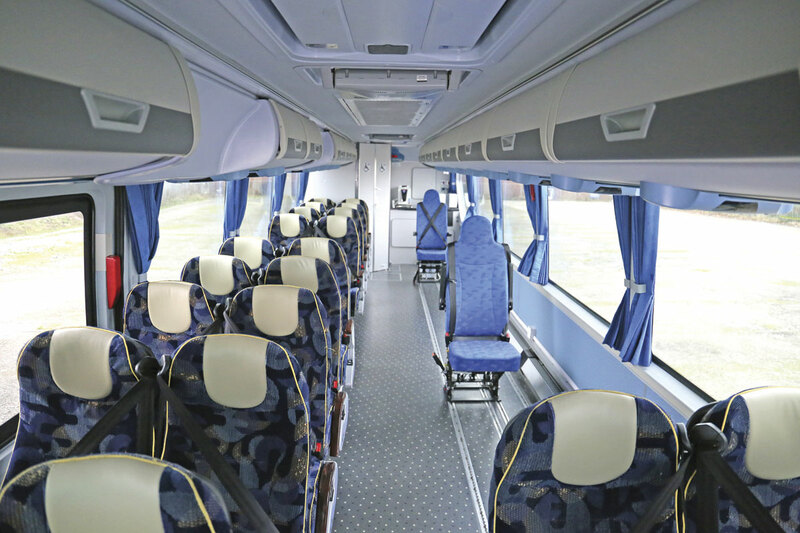 With extensive racking towards the front of the interior, the single door vehicles are certified for 31 seated, 11 standing and one wheelchair passenger. Although Chris sees King Long’s current UK market position as ‘a bit on the low side,’ he says they are ‘working to be where we have been before and where we belong.’ He thinks it is realistic to think that they might sell 25-30 this year and perhaps a maximum of 40 next year unless one of the new products really takes off. They are looking for niche markets and he reckons there is a saturation point beyond which it is difficult to go. Important to long term acceptability of the brand are residual values, and here King Long has suffered in recent years. I put this to Chris who seemed very relaxed about things, accepting that there had been an issue, but claiming, ‘We’ve worked on it and we’ve reached our goal. We’re happy to take in used King Longs at the market price in good condition.’ The organisation is marketing its part exchanges through a combination of magazine advertising, mail shots and the website, not that they have many at present, though there are a small number scheduled to come in. The only one on the premises when I was there was an 08-plate King Long XMQ6127. Chris said that he had yet to decide whether to exhibit at any trade shows this year. Expanding on the specification, Chris revealed, ‘We are using standard Lithium ion Chinese batteries that have been proven in service in China. The vehicles offer advantages on weight and technology as well as information systems. We are aiming to offer really good value for money so that operators are getting a lot more for their money. Our proposition will be in conjunction with the manufacturer and the battery supplier but we will separate the battery and vehicle in terms of the financial package.’ He believed the electric city bus would offer much more potential for sales than the diesel had achieved because of the benefits it offered. King Long’s range is a wide one and another new development that is scheduled to make an appearance around the year end is a minibus design. It is a monocoque design capable of taking 16 passengers and offering wheelchair accessibility. Nobody is pretending that it will be easy for King Long to rebuild the industry’s trust. Those who have had bad experiences will have less inclination than I to give the new team the benefit of the doubt and risk investing with them again. Christopher Cassar knows this, and he is putting a considerable amount of commitment and emotional capital into ensuring that the project succeeds. King Long really cannot afford to get it wrong again this time and those in the new team are determined that their hard work will ensure success. Good Day. Hope you are well. This is M/s Leo Enterprise, is one of the most renowned business organizations in Bangladesh that has been dealing with different civil and defence organizations (Bangladesh Army, Navy & Air Force), different power plants, laboratories, factories, agricultural farms etc. with utmost sincerity, devotion and dedication for the last 18 years. I am very much interested to work with you to develop a good business relation and do a long term business. I need to purchase 03 (Three) Movie Bus & 02 (Two) Observatory Van. 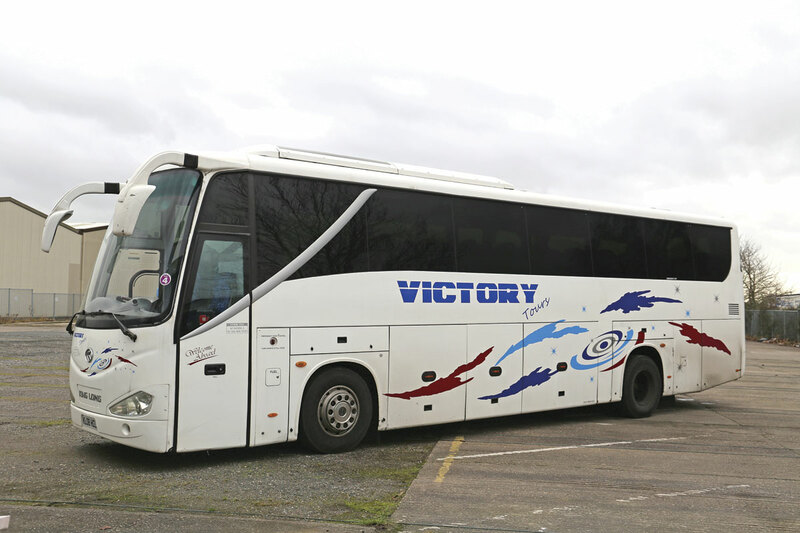 I will send you Technical Specifications of the Bus & Van on receipt of your valuable opinion. Your kind co-operation and prompt reply are solicited.